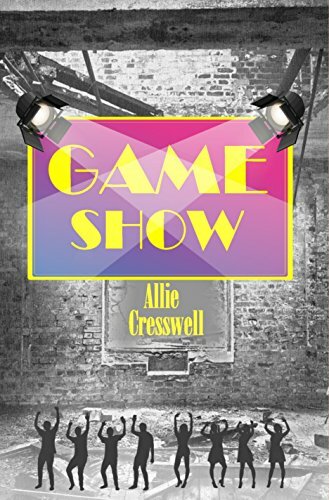 It’s my stop on the Game Show by Allie Cresswell today and I’m joined by the author to talk about her character Barry. The character I would like to talk about is Barry, who takes part in the radical new Game Show described in the book. Barry is a bit of a no-hoper to begin with. He is about thirty, he has only had one girlfriend and it didn’t work out. He has a dead-end sort of job, driving a lorry. He doesn’t have many (or any) friends, hobbies or interests. He is ordinary-looking. He finds life boring. He finds himself boring. He is looking out for something that will give him a chance to break out of his mundane existence. When did you create Barry? At first Barry was just one of four characters I invented to attend the game show as participants. Each had their own reason for attending the show. The other three were women, so I felt I needed a man, but I wanted him to be as needy in his way as they were in theirs. I heaped failure on him – his failed relationship and dead-end job, his insecurities. Then I waited to see how the game show would impact him. Did you write the book to accommodate Barry or Barry to accommodate the book? The idea for the book came first, then I peopled it with characters. This isn’t the way I always write, usually the characters come first and they dictate the plot, but Game Show is a plot-driven book. I couldn’t alter the facts about the Bosnian War, they were fixed, and I expected the Game Show to end in carnage, like the war. My participants, like the war victims, were hapless fodder. What I like most about Barry, and what surprised me, is that he uses Game Show to reinvent himself. The man who enters the studio is not the loser who packs his shopping in his bike panniers outside the supermarket. In a way this is the way Game Show works – it allows people to put on disguises, usually the basest most perverted versions of themselves, so they can act out the fantasy supplied by the show’s theme. But Barry does the opposite. He creates a new, better iteration of himself. He grows (literally) a new skin. Rather than being herded, like the others, down the path the game show producers wish, he chooses his own path and makes his own decisions. He becomes a hero. What do you like least about him? To begin with Barry was pathetic, I rather despised him. But he proved me wrong. Like me, they thought him vapid at first, but he grew on them too! Does Barry have any similarities with anyone real? Barry isn’t based on anyone real. But on the other hand, everyone could be a Barry. Everyone has the potential of a hero inside of them. We see ordinary men and women all the time and think nothing of them. They seem bland and uninteresting – we are so prone to judge books by their covers! But inside, they might be amazing, interesting, funny, kind – they might be the one to step up, to donate a kidney or rescue a child from a fire. On the other hand they might just be one of the crowd, following the herd, doing what everyone else does. I suppose the question we all have to ask is: which are we? Barry asks himself that question and he decides to take responsibility – the very thing the game show is trying to get people to shrug off. I can’t give away any spoilers but if you read the book you’ll see Barry’s life fairly plainly mapped out, and that’s where I will be leaving him. I’d like to think so, but only if he could make a decent gin and tonic. 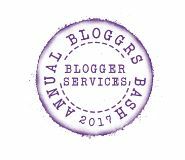 Huge thanks to the author for joining me today and to Rachel at Rachel’s Random Resources for inviting me on to the tour! Be sure to follow the rest of it! Want to find out more about Barry?